Home B: Community What To Do: Party like it’s 2019! There are several big holidays throughout the year – each with a different vibe and primary activity. Christmas is about giving. Thanksgiving is about eating. Valentine’s Day is about love, flowers and chocolate. Halloween is also about chocolate – and any other candy treat given to trick-or-treaters. New Year’s Eve is about partying – dining, drinking, welcoming the new year and…partying. The biggest party night of the year is the highlight of the schedule for the next week. Monday night is December 31 – New Year’s Eve. 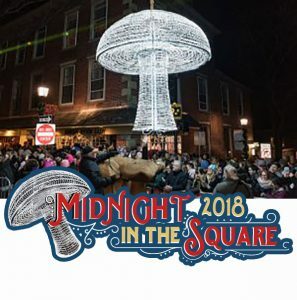 On New Year’s Eve, Kennett Square will be partying in style at its annual “Midnight in the Square” (downtown Kennett Square, midnightinthesquare.com). 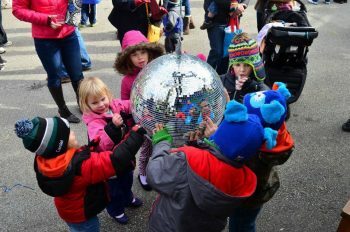 Young children and their parents are invited to kick off Kennett Square’s New Year’s Eve celebration at 6:30 p.m. this year. The event will feature food, activities, a laser light show and live entertainment until 8:45 p.m. when the “raising” and the “lighting” of the huge 500-pound stainless steel Mushroom will take place. The Mushroom Drop Party at the Garage opens at 9 p.m. Food, beer and wine will be available for purchase. The Funsters will perform live music from 9 p.m.-12:30 a.m. Later in the evening comes the main event — Kennett Square’s Fifth Annual Mushroom Drop. The brightly-lit massive fungi will start drop at midnight in celebration of the arrival of 2018. For admission, attendees are requested to bring non-perishable food items to support local Kennett Area Community Service Food Cupboard. KACS will have two trucks at the event as well as volunteers to collect your donations. The list of attractions also includes a laser show that starts at 6 p.m. and is presented every hour until midnight and performances by Longwood Performing Arts, Rose Project, Fred McCarthy and KMC Dancers. Food vendors will be on State Street starting at 6 p.m. with a wide array of tasty food items from On The Roll Food Truck. Many of Kennett Square’s restaurants and shops will be open for Midnight in the Square. Some of the participants for in Saturday’s event will be Grain, Kennett Brewing Company, Kennett Square Inn, LaVerona, Lily’s Asian Cuisine, Verbena BYOB and Portabello’s. Parking is available at Kennett High School and Exelon Way off East Baltimore Pike with free shuttle buses running from 9 p.m.-1:30 a.m. There are regulations on open containers in the Borough of Kennett Square. Open container laws refer to anything regulating open alcohol containers in public or in vehicles. Adherence to the local laws is mandatory and will be enforced. Video link for Mushroom Drop — https://youtu.be/x6WKYfYOTK0. The most famous New Year’s Eve “drops” are the extravagant Waterford Crystal ball in Times Square in New York City, the peach in Atlanta and the orange in Miami Beach. 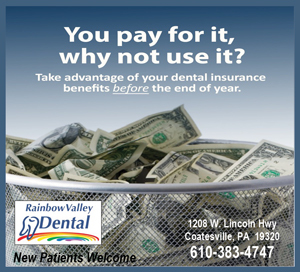 Other area drops include pickle in Dillsburg, button in Carlisle, white rose in York, anchor in Shippensburg, Bucky the Beaver in Beavertown, lightbulb in Sunbury, wrench in Mechanicsburg, kettle in McClure, coal in Shamokin, and duck decoy in Havre de Grace (Maryland). Other interesting “drops” around the country have vibes of their own – “tasty” with a wedge of key lime pie in Key West, Florida, a doughnut in Hagerstown, Maryland, or a chunk of cheese in Plymouth, Wisconsin; “fishy” with a walleye fish in Port Clinton, Ohio or a carp in Prairie du Chien, Wisconsin; “fruity” with a bunch of grapes in Temecula, California or watermelon in Vincennes, Indiana; and “downright weird” with a live possum in Brasstown, North Carolina, eight-foot-tall glittering flip flops in Folly Beach, South Carolina or a wooden flea in Eastover, North Carolina. Philadelphia doesn’t drop anything on New Year’s Eve – even though it has great options like the Liberty Bell, a Rocky statue or a cheesesteak. Instead of dropping something down, Philly sends something up. Every New Year’s Eve, it sends a massive barrage of fireworks into the sky. 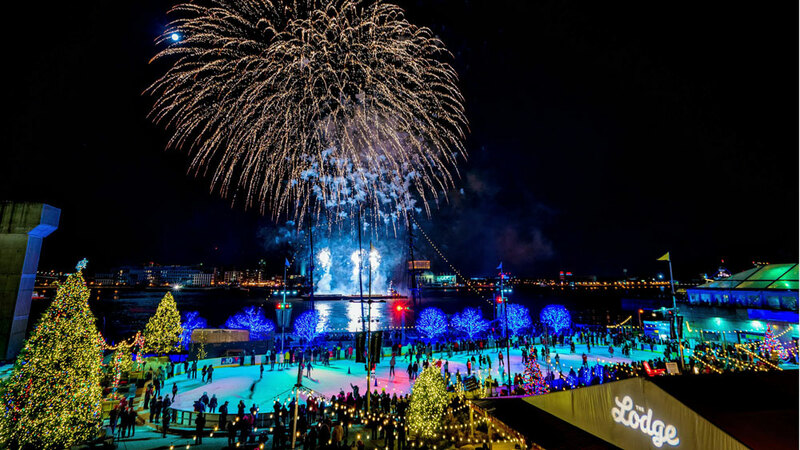 When evening arrives in the Philadelphia area on New Year’s Eve, it means that it is time for SugarHouse New Year’s Eve Fireworks on the Waterfront — a gala pyrotechnics display that explodes over the Delaware River. The fireworks can be viewed from either Penn’s Landing on Delaware Avenue or Wiggins Park on the Camden side of the river. Traditionally, the aerial fireworks extravaganza took place at midnight. This year, there will again be a show at midnight and another fireworks display at 6 p.m. on December 31. Both fireworks displays, which last approximately 15 minutes each, will be launched from a barge in the middle of the Delaware River and will be choreographed to music played through speakers at the Great Plaza at Penn’s Landing and at the riverfront area in Wiggins Park. A popular New Year’s Eve destination along the Delaware River to watch the fireworks is River Rink (Market Street and Delaware Avenue, 215-925-RINK, www.riverrink.com). The rink will host its “25th Annual New Year’s Eve Party on Ice” not once but twice – from 5-8 p.m. and from 10 p.m.-1 a.m. The festive, non-alcoholic party with food, Mummers, party favors and live entertainment costs $40 for skaters and $30 for spectators. 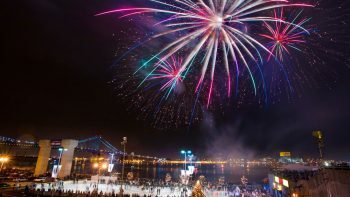 Another riverside location to watch the show in the sky is the Independence Seaport Museum (211 S. Columbus Boulevard Philadelphia, 215-413-8655, www.phillyseaport.org) which will be open from 5-7 p.m. on New Year’s Eve for the 6 p.m. fireworks. Guests can observe the fireworks from the second-floor balcony overlooking the river. The event, which features music and a sparkling cider toast at 6 p.m., is included with regular admission – adults, $16; children, $12. 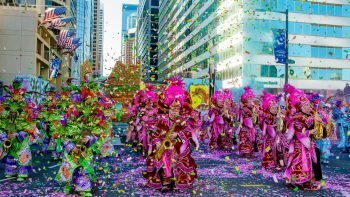 New Year’s Day in Philadelphia is all about the Mummers Parade (215-336-3050, www.phillymummers.com) — a festive celebration featuring string bands, comic units and fancy divisions all strutting their stuff on Broad Street. The event is celebrating its 119th anniversary this year. The parade is always televised but you need to see it live if you want to really appreciate the sights and sounds of the annual extravaganza. 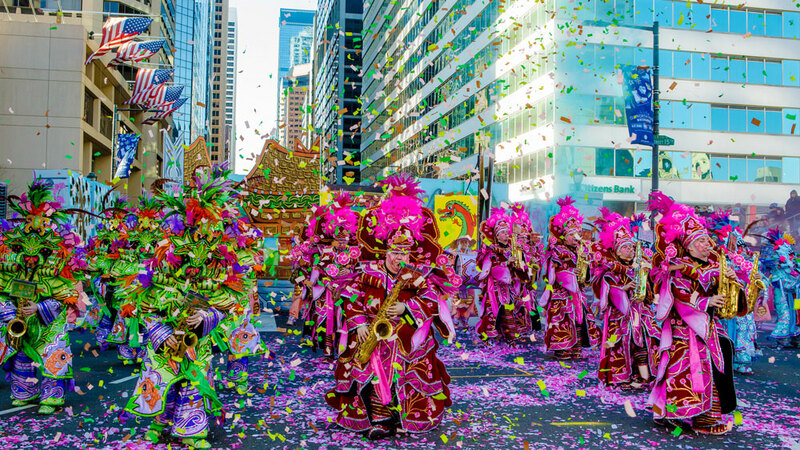 The Mummers tradition dates back to 400 B.C. and the Roman Festival of Saturnalias when laborers marched in masks throughout the day. Reports of rowdy groups “parading” on New Year’s Day in Philadelphia date back before the revolution. The practice of awarding prizes was initiated in the late 1800’s and the first “official” event was held in 1901. The Mummers Parade has grown in size and stature and currently features approximately 15,000 participants. The 2018 Parade will begin at 9 a.m. on PHL17 with the Fancy Division, followed by the Comic Division, Comic Wench Division and then the String Band Division. The Mummers have a little bit for everyone. There are more than 10,000 Mummers broken up into five divisions — the Fancies, the Comics, the Wench Brigades, the String bands and the Fancy Brigades. The parade starts with the Fancies. The Comics are next followed by the Wench Brigades, the String Bands and the Fancy Brigades. During the parade, Fancy Brigades join with the string bands along the route. Then, the Fancy Brigades have a show of their own indoors at the Philadelphia Convention Center. Because it is an outdoor event, inclement weather could come into play. The outdoor parade was postponed in 2003, the first time in 13 years. There have been 22 weather-related postponements since 1922. There was no parade in 1919 due to WW1 and in 1934 due to the depression and the lack of prize money. The highlight of the “Free at the Kimmel” holiday shows will be “New Year’s Day Celebration!” on January 1 from 10 a.m.-6 p.m.
Free stage performances will be presented throughout the day along with “PNC Grow Up Great” at 11 a.m. and Fred J. Cooper Memorial Organ demonstration at 1 p.m.
“Grow Up Great” introduces kids to the vibrant world of musical theater where singing, acting, and dancing join forces to tell a story. Exciting guest artists will perform songs from the canon of great American musicals. Kids will be able to sing along to recognizable classics and go home singing some brand-new tunes. This lighthearted program encourages kids and parents to explore their creativity as singing snowflakes, ducklings, shooting stars, and everything in between. The Fred J. Cooper Memorial Organ demonstration will start with a 15-minute organ demonstration of the instrument’s unparalleled and dramatic sounds live in Verizon Hall. Then, talented volunteers will show visitors around. For a unique way to kick off 201, head south to Middletown, Delaware on New Year’s Day to celebrate town’s annual Hummers Parade (Main Street, Middletown, Delaware, 302-378-7545). Every year on New Year’s Day, Middletown’s Hummers Parade slowly but not very methodically moves down Main Street. 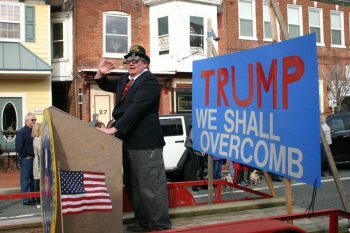 The parade, which is intended as a spoof of Philadelphia’s Mummers, is a loosely organized event that welcomes everyone to join in the fun. On January 1, floats and groups will assemble in the parking lot in Middletown. The parade of spoofs is scheduled to get underway at 1 p.m. The parade gathers on South Cass Street in the vicinity of Middletown Environmental Testing, Inc. at 100 South Cass. The parade travels from South Cass to Park Place, to Broad Street. The parade turns left onto Main Street from Broad and left onto South Scott Street, disbanding in the vicinity of South Cass. Participants in the parade arrive around noon to put the floats together. The floats should be put together on site and are spoofs of national and local events. All are welcome to join in the parade. The parade is not sponsored by the Town of Middletown or any specific group. Trophies will be awarded in categories that have yet to be determined. No registration or sign up is required and there are no rules. Actually, there are two basic unwritten rules — taste doesn’t matter, and no-one is permitted to work on a float or a costume any earlier than the morning of the event (and, if they do, they must lie and say they didn’t). Delaware also has some New Year’s Day events that are more conventional — and definitely more on the healthy side. Delaware State Parks are celebrating the first day of the New Year with hikes in the park. Parks around Delaware will host a “First State, First Day, First Hike” program to celebrate the national movement sponsored by America’s State Parks to have all 50 states offer First Day Hikes. Designed to promote both healthy lifestyles throughout the year and year-round recreation at state parks, all 50 state park systems joined together to sponsor First Day Hikes for the first time in 2012. Participating parks in northern Delaware that are close to Chester County include Alapocas Run (302-577-7020), Auburn Heights (302-256-6321), Bellevue State Park (302-6963), Brandywine Creek State Park (302-5740), and Brandywine Zoo (302-7850). There are New Year’s Eve events in the area that begin long before the evening arrives. The Please Touch Museum in Philadelphia, the Brandywine Zoo in Wilmington, Delaware and the Garden State Discovery Museum in Cherry Hill, N.J. offer special family-oriented matinee events to celebrate the start of a new year. The Please Touch Museum (Memorial Hall, Fairmount Park, 4231 Avenue of the Republic, Philadelphia, 215-581-3181, www.pleasetouchmuseum.org) will again host its traditional “Countdown to Noon”. Kids can ring in the New Year at noon and at 1 p.m. with confetti and noisemakers. After the doors open at 9 a.m., youngsters will be able to party with a wide array of storybook characters at Philly’s original “New Year’s Eve Party for Kids.” Additionally, there will be live music performed from 10 a.m.-2 p.m.
To accommodate all its guests, the museum will have a second countdown at 1 p.m. The event will also feature a variety of kids’ activities, dancing and a special appearance by King Countdown, the museum’s official Marshal of the New Year. Seating for the Countdown in Hamilton Hall is first come, first served. Tickets are $25. Please Touch Museum will close at 3 p.m. following this event. The event in Wilmington, which is officially called “Noon Year’s Eve Celebration at Brandywine Zoo”, is a popular all-ages celebration that runs from 11 a.m. until 12:15 p.m. at the Brandywine Zoo (1001 North Park Drive, Wilmington, Delaware, 302-571-7747, www.brandywinezoo.org). 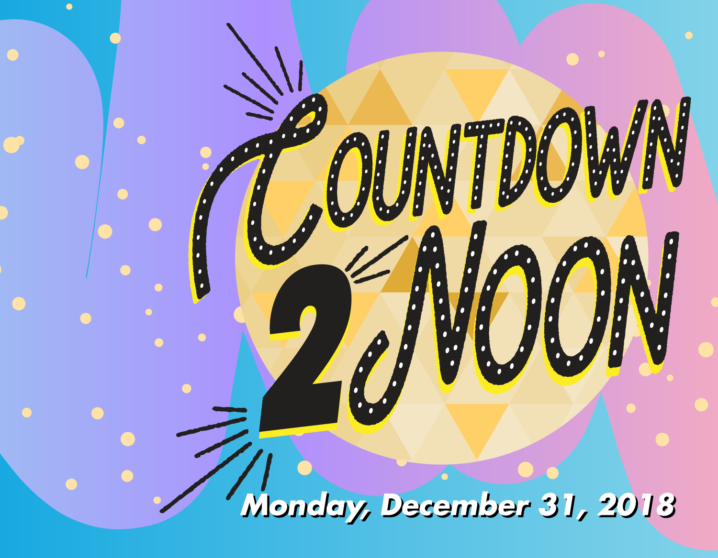 The mid-day party features a celebration with games, crafts and a countdown to 12 o’clock as noon approaches. And, there will be a sparkling apple cider toast when the clock strikes 12. Admission is $5 and the gates open at 10 a.m. with check-in at the main admission gate. Most festivities will take place outdoors, so visitors are advised to dress for winter weather. The Garden State Discovery Museum (2040 Springdale Road, Cherry Hill, New Jersey, 856-424-1233, www.discoverymuseum.com) is presenting a special program called “New Years at Noon” during the day on December 31. Guests are invited to be the first to ring in the New Year — kids’ style. The entire Museum will be alive with singing and dancing and counting down to 2015. As an added attraction, the countdown celebrations will be held at noon and again at 3 p.m.
With Christmas coming in the middle of the week, holiday attractions have an extra weekend to remain open. Valley Forge National Historical Park (Route 23, Valley Forge, https://encampmentstore.org/trolley-tours/) is presenting special Holiday Trolley Tours from December 26-31. Park guides will offer three tours each day — 11 a.m.-12:30 p.m., 1-2:30 p.m. and 3-4:30 p.m. The 90-minute guided tours, which feature a ride in a comfortable, old-fashioned Trolley, depart from the front of the Visitor Center and travel throughout the Park. Each excursion features extended stops at Muhlenberg’s Brigade and Washington’s Headquarters. Valley Forge National Historical Park is nationally significant as the site of the 1777-78 winter encampment of the Continental Army under General George Washington. It was here that the Continental Army under Washington’s leadership emerged as a cohesive and disciplined fighting force. The tours, which are both fun and educational, give visitors the opportunity to observe many of the park’s most significant historical sites. Tickets are $17.50 for adults, $14.50 for students, seniors (62 and over) and active military and $9 for children (11 and under). At the end of each year, the Delaware Museum of Natural History (4840 Kennett Pike, Wilmington, Delaware, 302-658-9111, www.delmnh.org) presents a special event geared for families for the week between Christmas and New Year. From December 27-30, the children-oriented museum in northern Delaware will be presenting its “Discovery Days.” The event, which is scheduled to run from 9:30 a.m.-4:30 p.m. each day, features four days of festive family fun, including hands-on nature and science activities, live animals, face painting, and special activities. Participants will be able to meet owls, sun conures, and other amazing birds up close with “live bird encounters” scheduled for all four days. Partner organizations include Animal Behavior and Conservation Connections, Wilmington State Parks, New Castle County Mounted Patrol, Hockessin Athletic Club, Uncle Johns BBQ, Face Painting by Dori on December 27 and Delaware Blue Coats, Auburn Valley State Park, Delaware Valley Paleontological Society, Animal Behavior and Conservation Connections, Face Painting by Dori, and Outlandish Food Truck on December 28. The roster for December 29 includes Animal Behavior and Conservation Connections, Fort Delaware State Park, Mr. Mike’s Dinorific Rhymes and Games, Face Painting by Dori, Auburn Valley State Park, Uncle John BBQ & Mojo Loco Food Truck. The partner organizations for December 30 will be Animal Behavior and Conservation Connections, Face Painting by Dori, Mr. Mike’s Dinorific Rhymes and Games, and Uncle John BBQ. The four-day event will wrap up on Sunday with an early New Year’s Eve celebration featuring the Chinese American Community Center. The festivities will end with an early New Year’s celebration at 3:30 p.m. featuring music, a snowball drop and countdown to 2018. Discovery Days is a special event with specific admission prices during the four days — $12 for adults, seniors and children and free for children two and under. The Ephrata Cloister or Ephrata Community was a religious community, established in 1732 by Johann Conrad Beissel at Ephrata. The grounds of the community are now administered by the Pennsylvania Historical and Museum Commission. The tours take guests back in time to visit the Cloister as it may have appeared in the 1700s. Each year’s story offers a cast of junior and senior high school students playing the roles that bring history to life. A different story is presented each year. This year’s tours will lead visitors through four of the historic buildings on site as the story unfolds to offer differing views of Conrad Beissel. Refreshments and a chance for conversation will end the evening. Each of the one-hour tours is limited in attendance, and begins each half-hour starting at 6:30 p.m.
Reservations are required and can be made by calling (717) 733-6600. Tours will depart the visitor center every 30 minutes from 6:30 p.m.-8 p.m. 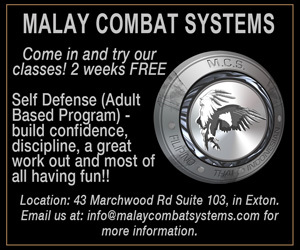 The cost is $10 for adults, $9 for seniors (65 and older), $7 for youth (ages 6-11) and $5 for children (ages 3-5). Rock Ford Plantation (881 Rockford Road, Lancaster, 717-392-7223, www.rockfordplantation.org), which was the home of plantation owner Edward Hand, presents its Yuletide Candlelight Tours during the days following Christmas. This year’s events will be staged from December 26-28. Yuletide was celebrated in the late 1700s during the 12-day period between Christmas (December 25, the day Christ was born) and Twelfth Night/the Feast of the Magi (January 6, the day the Magi offered their gifts to the infant Christ). Back then, Christmas Day did not mark the culmination of the holiday but rather its beginning with a variety of old English traditions — decorating the home with greens, baking a Twelfth Night cake, enjoying the wassail bowl and burning the Yule log. This year, candlelight tours will be held on December 26, and 27 from 4-8 p.m. each night. There be a special Yuletide Daylight Tour on December 28 from 10 a.m.-3 p.m.
For the candlelight tours, the Georgian-style mansion will be decorated with holiday greenery and illuminated by the glow of lighted candles. During the evening tours, visitors will be able to listen to live performances of period music and watch early American dancing in the great hall. Authentic 18th-century music of the season will be performed during the candlelight tours. Tickets are $10 for adults and $8 for seniors (65 and older) and children (ages 6-12). The area around the factory site is converted into a winter wonderland nightly with the illumination of thousands of lights and holiday displays. Herr’s annual “Holiday Light Display” is running now through January 1. The special light exhibit will be open daily from dusk to dawn. “A Brandywine Christmas”, which is running now through January 6 at the Brandywine River Museum (Route 1, Chadds Ford 610-388-2700,www.brandywinemuseum.org), is an annual event that is fun for the entire family. 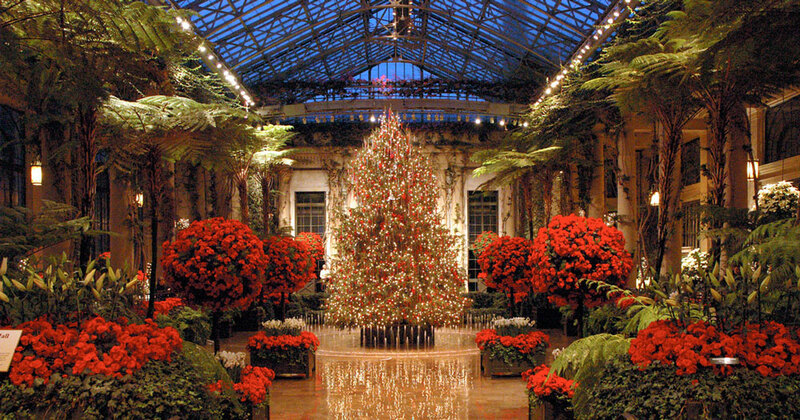 Special events include “Carols Concerts” throughout December, and “Terrific Trains Family Program” on January 5. “Holidays at Hagley” is an event that is always one of the most eagerly anticipated holiday attractions in this area every year. Special events and tours will be held throughout the holiday season including “Candlelight Tours” at 7 p.m. on December 27 and “Festive Foods/Hearth Cooking Demonstration” on December 29 from 10 a.m.-3 p.m. The Colebrookdale Railroad (Washington and Third Streets, Boyertown, www.colebrookdalerailroad.com) has several holiday-related excursion rides. The “Snowflake Special” will run from December 25-31. It is approximately a two-hour round trip for any of the train excursions. Tickets for the “Snowflake Special” are $30 for adults, $23 for children (ages 2-12), $25 for seniors (65 and older) and $5 for toddlers (under 2). Christmas trains also come in a smaller variety. Model railroad displays, and the Christmas holiday season have been linked together since a time before even your parents were even kids. Founded more than 50 years ago, Choo Choo Barn — Traintown U.S.A. ((Route 741 East, 226 Gap Rd, Strasburg, 717-687-7911, www.choochoobarn.com) presents a 1,700-square-foot train layout featuring over 150 hand-built animated figures and vehicles and 22 operating trains. The majority of trains that are running in the display are “O Gauge” trains but there are also some HO Gauge trains as well as one N Gauge train. Several of the original pieces and animations are still on the display today, including the ski slope, ski lodge and ice skaters, Dutch Haven, the Willows, the two-lane moving highway (in front of Dutch Haven), the farm with the tobacco barn, the Strasburg Fire House, the church beside Dutch Haven and a few other houses. The layout features a special Christmas display now through January 16. The homes and businesses along the tracks have been decked out with holiday trim. And, there are 55 hidden Santas — one for each year the site has been open — located around the display for visitors to find. Tickets are $8.50 for adults and $5 for children (ages 3 and under) at Choo Choo Barn — Traintown U.S.A.
A popular annual holiday event in the Lancaster area is Yuletide at Wheatland (President James Buchanan’s Wheatland, 1120 Marietta Avenue, Lancaster, 717-392-4633, http://www.lancasterhistory.org/events/yuletide-at-wheatland). Wheatland and lancasterHistory.org are teaming up to present a festive way to celebrate a Lancaster Victorian Christmas. Visitors are invited to join LancasterHistory.org for a historical performance that captures a moment in time and takes them back to the holiday of 1875. It is the winter of 1875 and James Buchanan’s niece, Harriet Lane Johnston, and her family have decked the halls of Wheatland in high Victorian style. Join them for a one-of-a-kind Yuletide experience, complete with elegant decor and ample holiday cheer. Performances run Fridays and Saturdays now through December 30 (daily from December 26-30) and are limited to 20 visitors each performance. Tickets are $17 for adults, $8 for children (ages 6-13) and free for children (5 and under). Several of Montgomery County’s scenic historic sites are festively celebrating the 2018 Christmas holiday season. Out in Bucks County, Peddler’s Village (Routes 202 and 263, Lahaska, 215-794-4000, http://peddlersvillage.com) has a lot of holiday-themed family activity over the next few weeks. 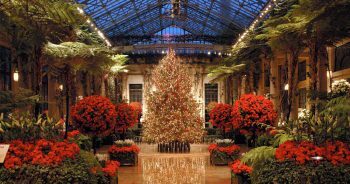 The museum, which was formerly the home of the fabled Pitcairn family, is presenting its “Christmas at Glencairn” holiday celebration now through January 7. A great way to get in the spirit of the holidays is to check out the Comcast Holiday Spectacular, which is running now Through January 1 in the lobby of the Comcast Center (1701 John F Kennedy Blvd., Philadelphia). At the top of the hour from 10 a.m.-8 p.m., visitors gather in front of the Comcast Experience video wall to catch the magic of The Comcast Holiday Spectacular, which is one of the world’s largest highest-resolution LED displays. Measuring 83.3 feet wide by 25.4 feet high, the 2,100 square-foot video wall is five times the resolution of high-definition television and one of the world’s highest-resolution LED screens. The Comcast Holiday Spectacular is filled with sights and sounds of the season. Since its debut in 2008, more than 1.6 million people have experienced the holiday show in the Comcast Center lobby – a show that has become an annual holiday tradition. The 15-minute Comcast Holiday Spectacular takes visitors on a festive, musical journey featuring classic favorites like “Carol of the Bells,” “Jingle Bell Rock,” and “The Twelve Days of Christmas.” The show also features sing-alongs, a magical sleigh ride from the Philadelphia countryside to high above the city skyline, and a short video of “The Nutcracker” performed by the Pennsylvania Ballet. Another top-flight holiday attraction in Center City Philadelphia is Macy’s Christmas Light Show at Macy’s Center City (1300 Market Street, Philadelphia, 215-241-9000, https://www.visitmacysusa.com/philadelphia). With more than 157,000 square feet of the latest fashion and home décor trends and nearly 100 years of retailing history, Macy’s Center City in the landmark Wanamaker building is a must-see destination. The Macy’s Christmas Light Show has been a Philadelphia tradition since 1956. During the light show, more than 100,000 energy-efficient LED lights combine to create fantastic holiday images. For shows starting at noon, the finale of the light show is accompanied live by festive music from the world-renowned Wanamaker Grand Organ. Now through December 31, Macy’s Center City also features another classic Philly tradition — Dickens Village. The 6,000-square-foot Village on the third floor of Macy’s Center City brings Charles Dickens’ classic “A Christmas Carol” to life with more than 100 fully animated figures reenacting 26 of the story’s most memorable moments. The Village is open daily, excluding Christmas. It’s a sure sign that winter has arrived when season opens for the Blue Cross RiverRink (Delaware Avenue at Walnut Street, Philadelphia, 215-925-RINK,www.riverrink.com). Unlike most of the suburban ice rinks, RiverRink features public skating. Ice skating is the only use of the ice. This winter, RiverRink takes the ice-skating experience on the Delaware River waterfront to another level by once again transforming the annual rink into a bona fide winter wonderland. The outdoor rink’s hours are 1-10:30 p.m. Mondays through Thursdays, 1 p.m.-12:30 a.m. on Fridays, 11 a.m.-12:30 a.m. on Saturdays and 11 a.m.-10:30 p.m. on Sundays. Skating admission prices are $4 for admission and $10 for skate rental. Adventure Aquarium’s “Christmas Underwater,” which provides visitors with a different look at Christmas, is running now through December 30 at the Adventure Aquarium (1 Riverside Drive, Camden, New Jersey, www.adventureaquarium.com). The attraction features the “World’s Tallest Underwater Christmas Tree.” At over 18 feet tall, the tallest underwater Christmas tree on Earth has arrived in Shark Realm. Scuba Santa has collected corals from all over the world’s oceans to decorate the tree along with colorful shells, thousands of twinkling lights, enchanting bubbles and a bit of magic. Admission to Adventure Aquarium is $29.99 for adults and $21.99 for children. The Lehigh Valley Zoo (5150 Game Preserve Road, Schnecksville, www.lvzoo.org) is presenting its fourth season of “Winter Light Spectacular” now through December 31 — Wednesday through Sunday nights. Last season, the popular nighttime fundraiser for the Zoo attracted over 52,000 guests across 35 event nights. This season’s Winter Light Spectacular will feature a variety of event nights but will be closed on Christmas Eve and Christmas Day. This year’s “Winter Light Spectacular” features more than one million energy conserving lights. The event will run each night from 5:30-10 p.m. Admission is $11 for adults and $6 for children on Wednesday and Thursday and $14 for adults and $9 for children on Fridays and Saturdays. If you really, really want to get into the Christmas mood vibe big-time, visit Koziar’s Christmas Village (782 Christmas Village Road, Bernville, 610-488-1110,www.koziarschristmasvillage.com) which began its 71st season at the start of November. Amusement parks are not just for the summer. They are also great Christmas holiday destinations.